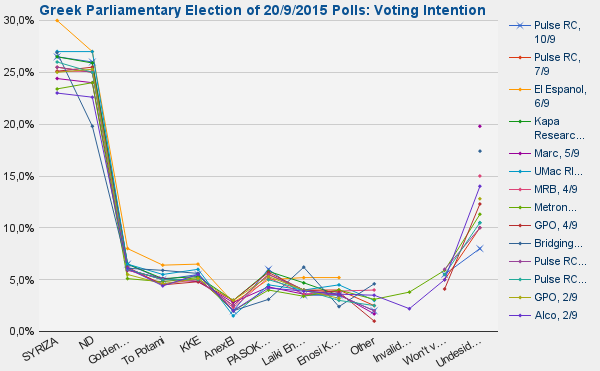 Thse are graphs of various polls and bets on the Greek Parliamentary election of September 20, 2015. The source of the data is the document "Polls: GR Election 201509"; please feel feel to browse it and note your observations. Update 23/9/2015: An interesting discussion on why polls fail recently, with some documentation, is taking place in Nikos Anagnostou's Facebook Wall.